WOW. WOW. WOW! Simply amazing and probably the most pristine route that we have ever seen in the small vacation town of Lake Havasu City in all 40 years of being in this industry. Higher end business has just hit the market and is available to come completely turnkey with things like the biz name that has over 15 years of being established in the city, equipment, a truck, and one of (if not the) best reputations in town constantly being referred to as "best pool service in Havasu" by many. All residential accounts with 114 pools, 3 chem only, and 1 spa only with every single account but one having an auto cleaner on it and most of the customers being snowbirds you rarely see. 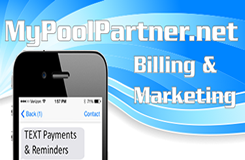 Seller provides a high end service, but he also charges a premium price and keeps the pools sparkling all year around. Routes this rare only come around every few years so contact PRP today to learn more!